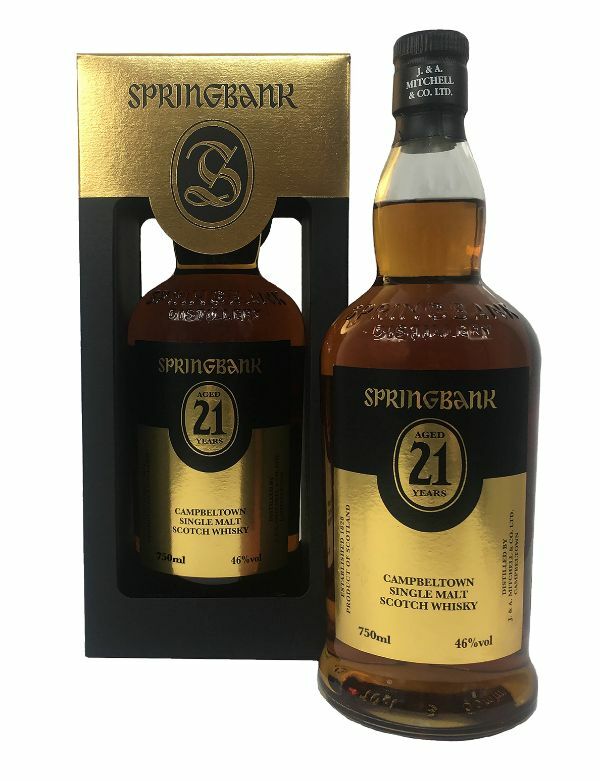 Springbank Distillery is the oldest independent, family-owned distillery in Scotland. Legal distillation began in 1828. The chairman is Hedley Wright, the great, great grandson of John Mitchell, the first legal distiller of Springbank whiskey. There are few Scottish distilleries that still malt their own barely, but Springbank is the only distillery which malts 100% of its own barley, using traditional floor malting. The whole production process: malting, milling, mashing, fermentation, distillation, maturation and bottling, happens on one site in Campbeltown. This unique in Scotland. Nose: A creamy delight. The soft richness of this classic dram provides the backdrop for toffee and cereal notes, interspersed with bursts of freshly picked strawberries and ripe watermelon. Palate: Robust and steadfast. A dry creamy oiliness points to the fino sherry casks used in maturation while background maritime influences demonstrate this is a true Campbeltown malt. Sugared almonds are heavily present as well as a dash of cinnamon.